Fall is in the air! 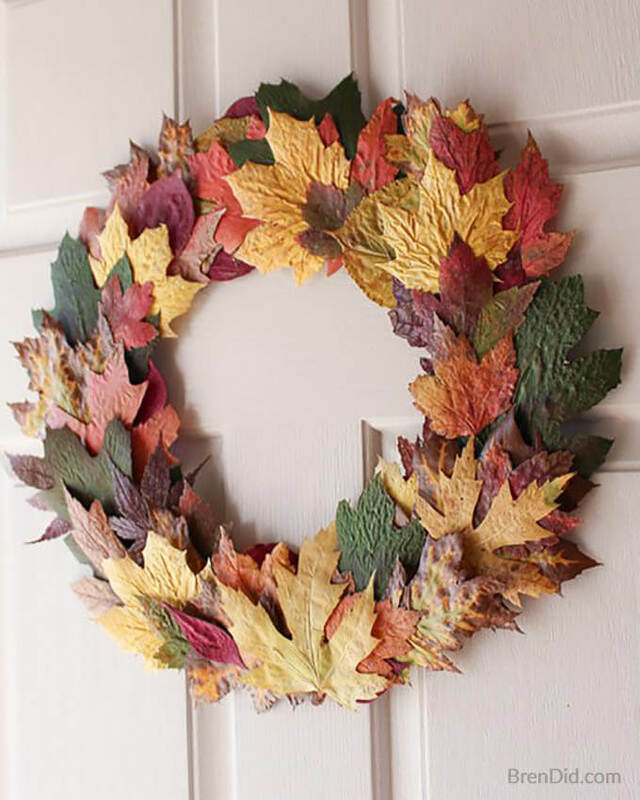 Get the front door ready for the changing season with these easy homemade fall wreaths. Each gorgeous natural wreath is made with supplies that can be gathered outdoors, making them economical and earth friendly. 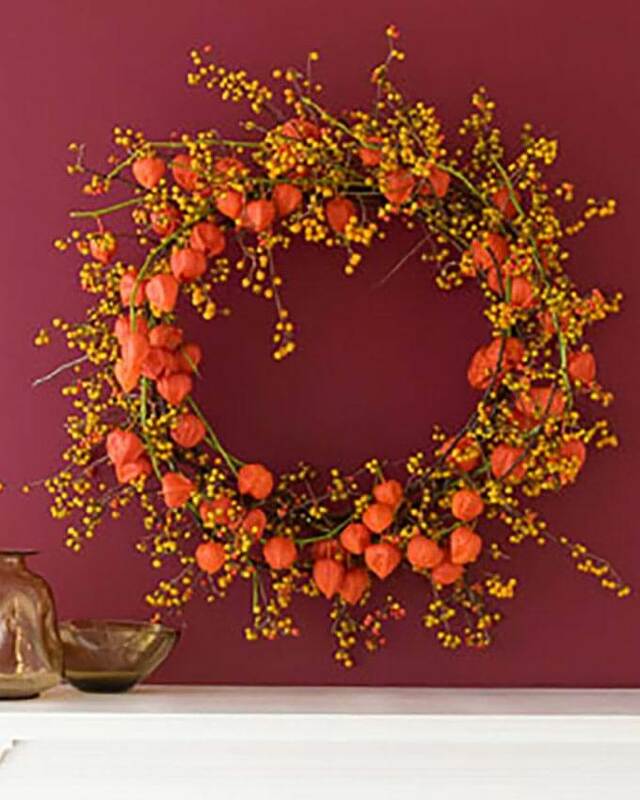 Adding a wreath to the front door is an easy way to decorate your home for the seasons. Unfortnately, front door wreaths can be expensive and hard to store. 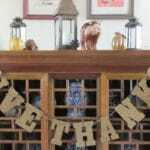 Simple, budget friendly fall wreaths! 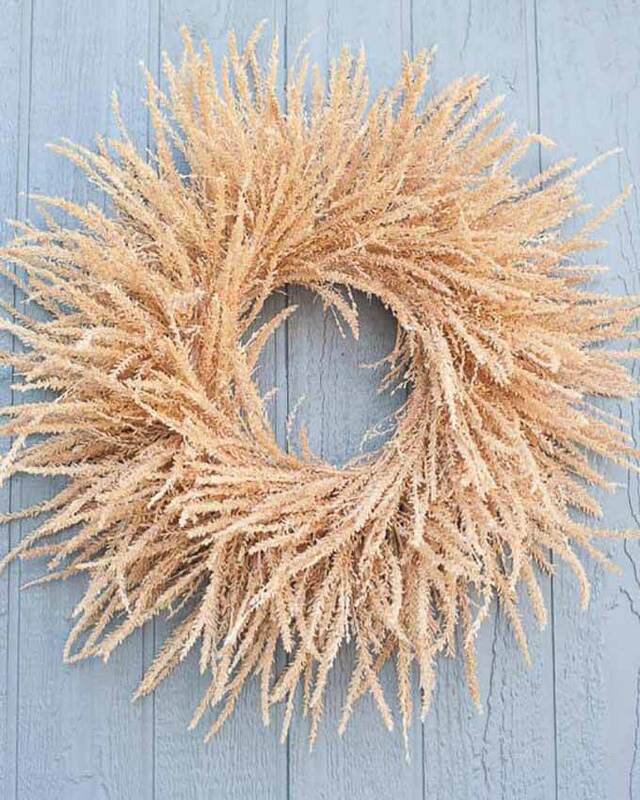 Try making one of these gorgeous wreaths with natural materials available in your area and you’ll be the envy of your neighbors. I love using natural craft materials in my projects (fall leaves and pinecones are my favorite supplies). They are free to gather and look beautiful! Plus, natural wreaths can be enjoyed and then thrown away with no guilt! The materials will break down naturally so you can use them for a single season. 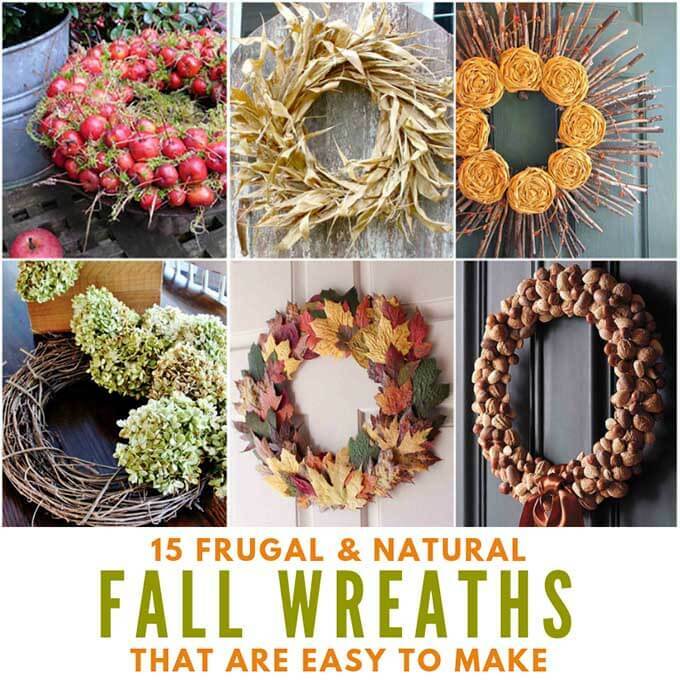 These natural fall wreath ideas will help you decorate for fall. Try making one or two! 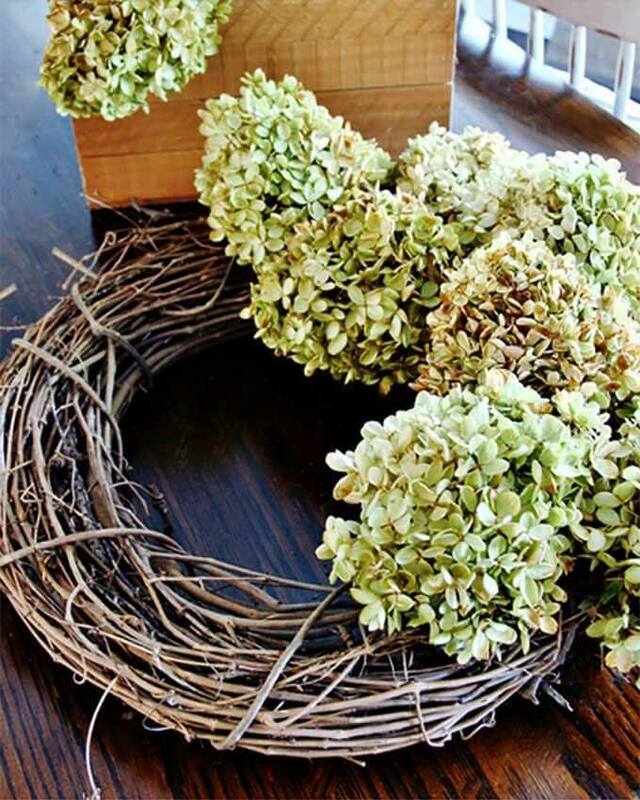 This traditional dried hydrangea wreath from Thistlewood Farms is the perfect addition to any porch. 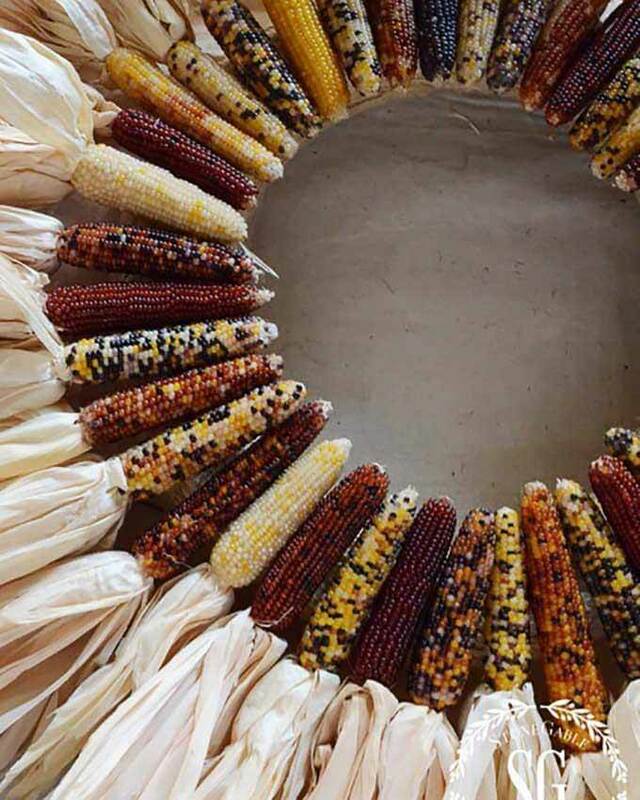 A Calico Corn Wreath (also called Flint Corn or Indian Corn) is perfect for Thanksgivng. Get the easy instructions from the Stone Gable Blog. Colorful leaves are the first sign of autumn. 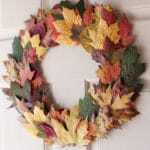 This simple Fresh Fall Leaves Wreath from Bren Did looks great on any door. 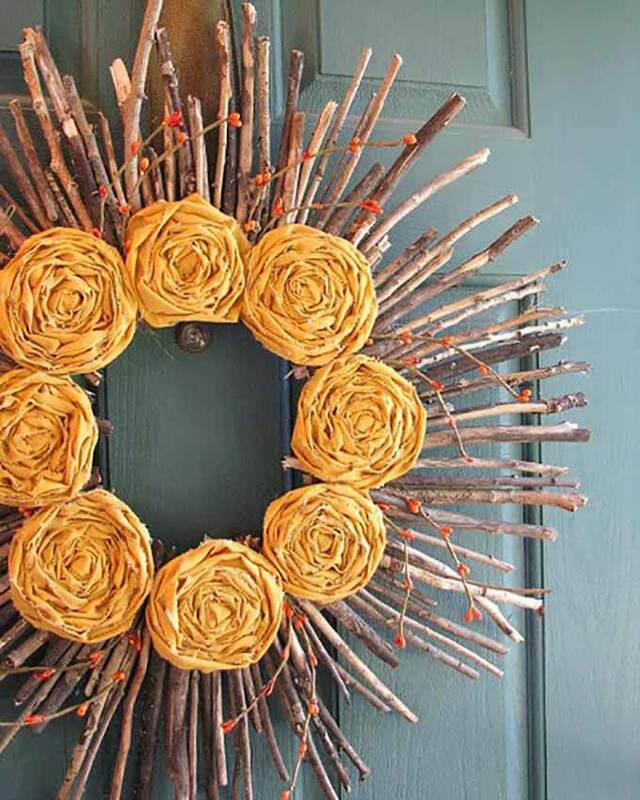 Twigs and Fabric are all it takes to make this gorgeous sunshine wreath for autumn. Get the simple tutorial from Yellow Mums. 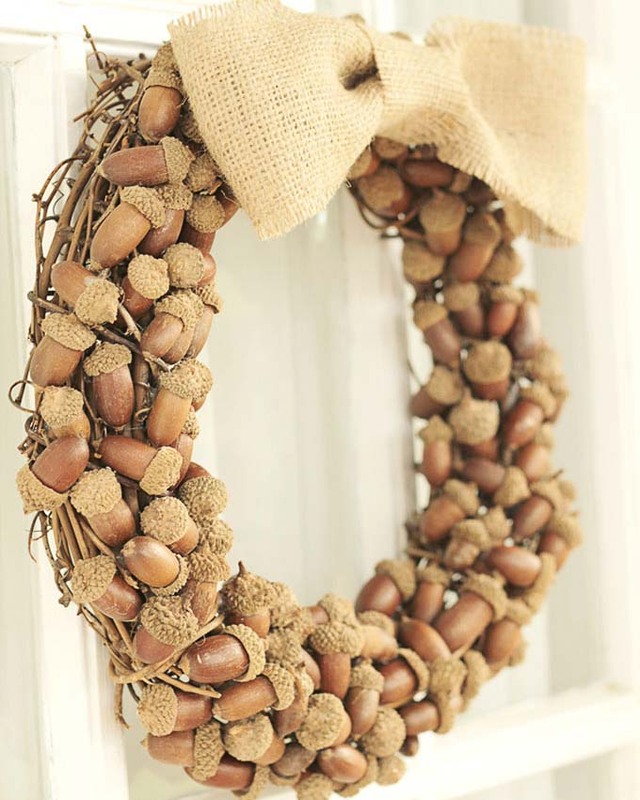 You'll be racing the squirrels to get acorns for this lovely wreath. Full Acorn wreath tutorial from Tried and True Blog. 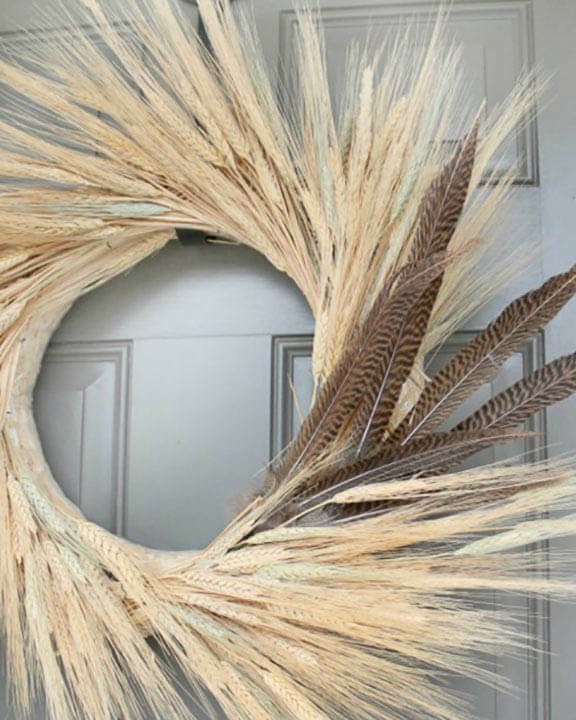 Can you belive this gorgeous wreath is made from nothing but corn tassels? 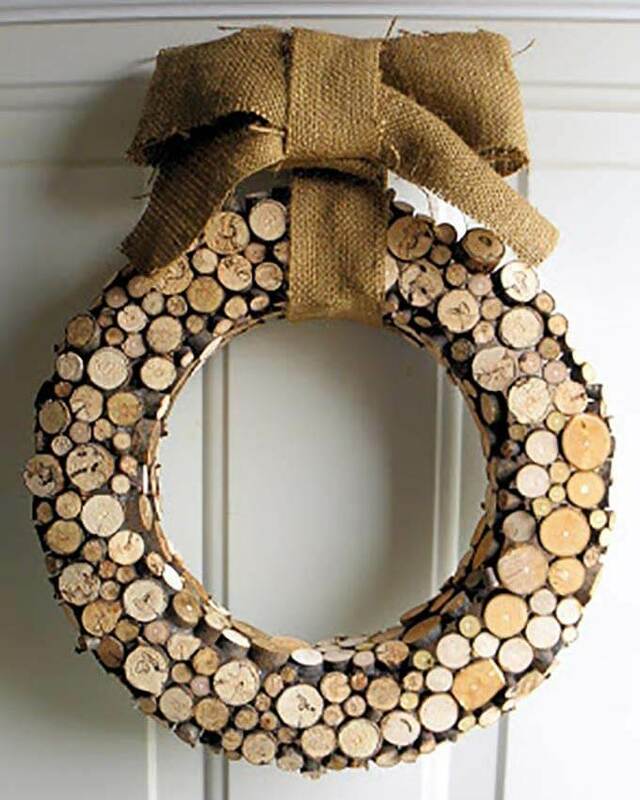 You'll wish you were friends with a farmer so you could make this wreath from All Things Thrifty. 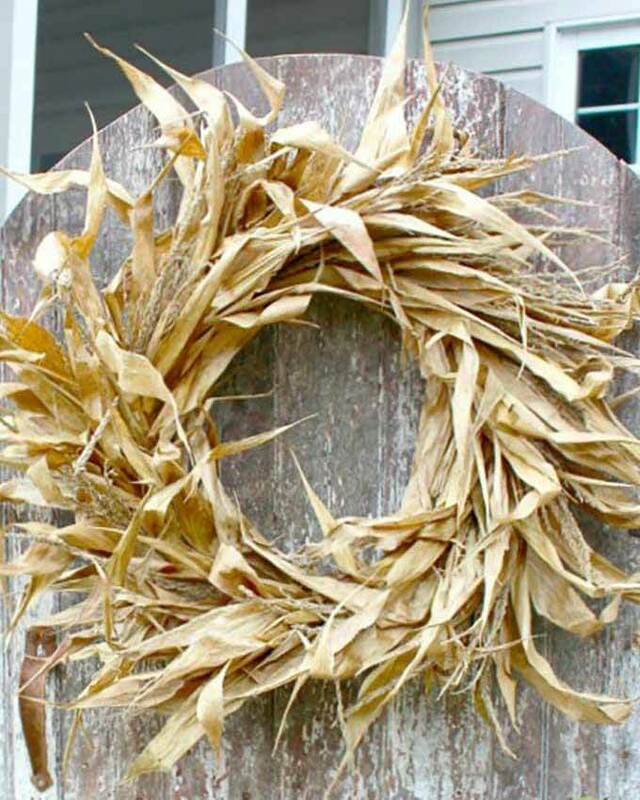 Serve some fresh sweet corn and save the husks for this lovely corn husk wreath. 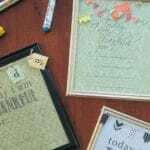 Get the clever tutorial from Hymns and Verses. Dried wheat is used in traditional American farmhouse crafts. It's beautiful when made into this simple wreath from The Happier Homemaker. 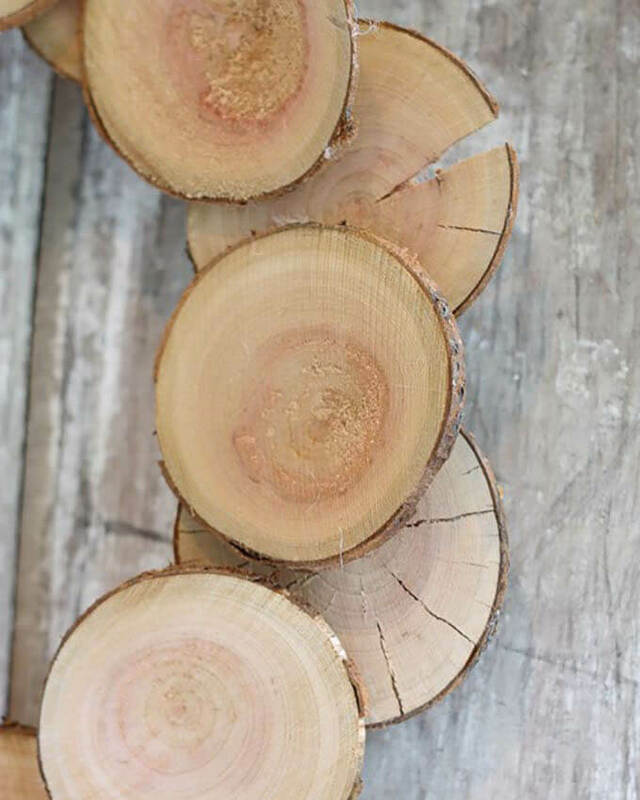 Tiny wood slices made an easy and attractive wreath. Full instructions at Vintage Mellie. 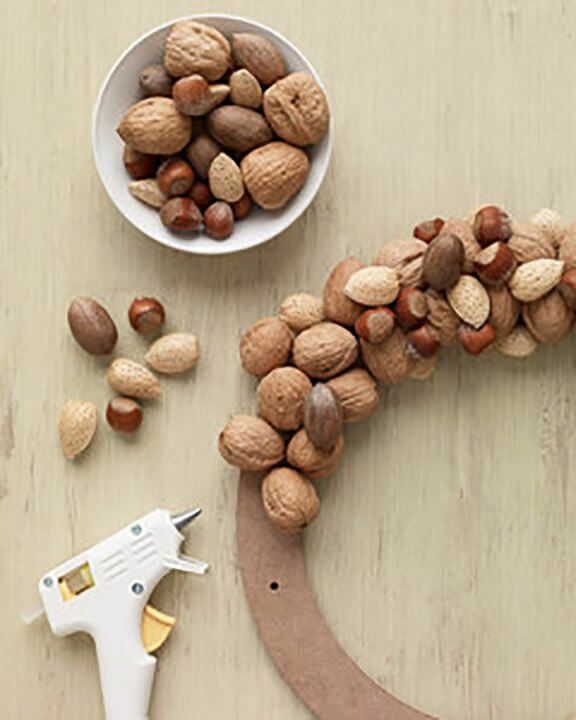 Grab a bag of nuts and a bit of hot glue for this simpe nut wreath. 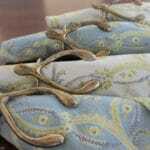 Get the full tutorial from Martha Stewart. Love wood grain? 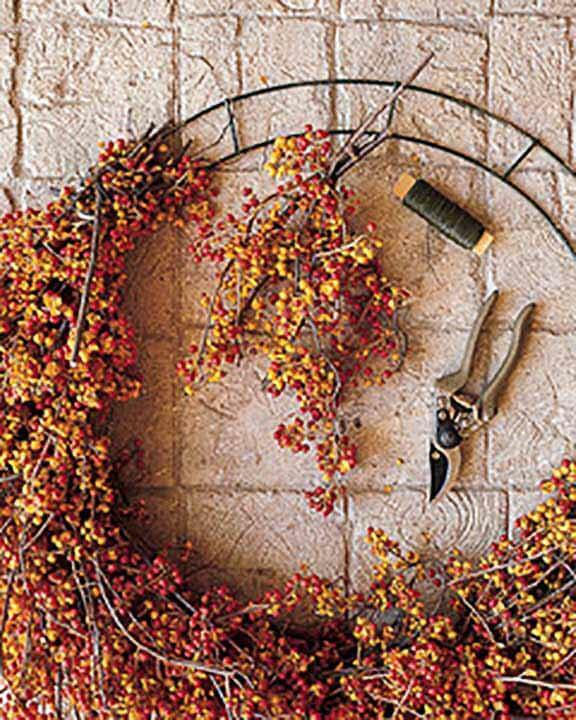 This easy wood slice wreath looks perfect in fall and winter. Get the instructuis at Finding Home Farms. 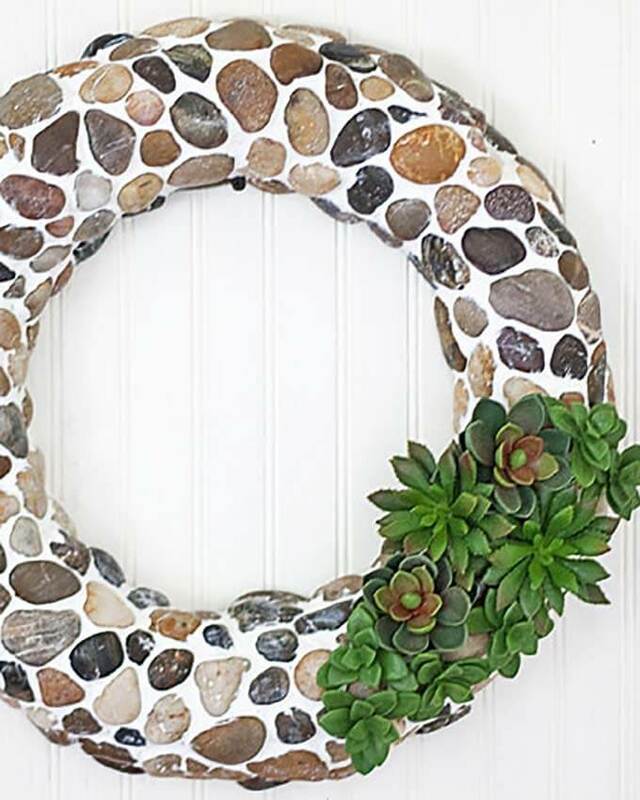 Pebbles and succulents make up this unusual, but beautiful wreath from The Shabby Creek Cottage. Chinese lantern plants are the perfect orange for fall and Halloween. 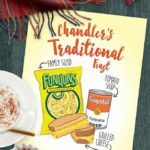 Grab the simple tutorial from Family Circle. Bitter Sweet is a beautiful wild vine that grows on fenceposts and sunny forests. 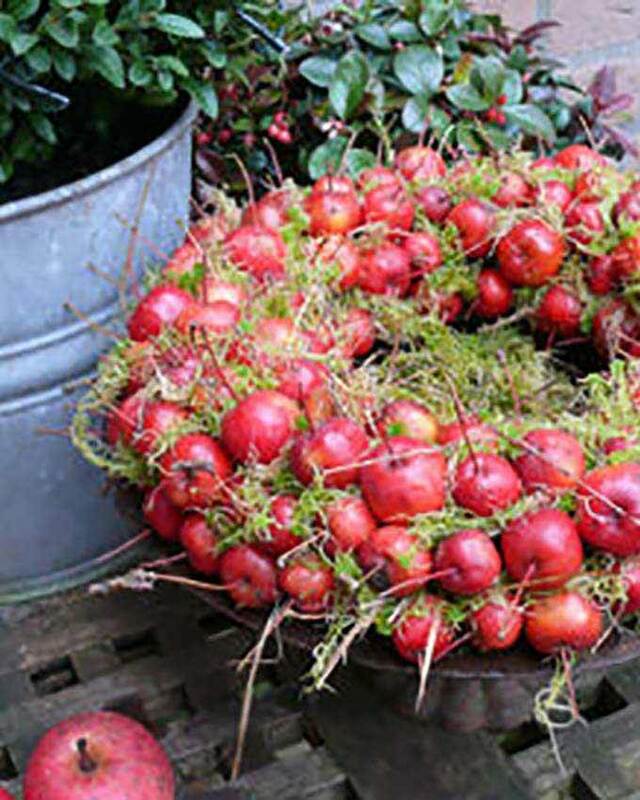 Martha Stewart has an excellent tutorial for turning the vines into wreaths. 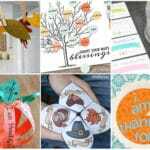 Like my easy crafts and recipes? Sign up for my newsletter below and never miss a thing! Lucky lady! 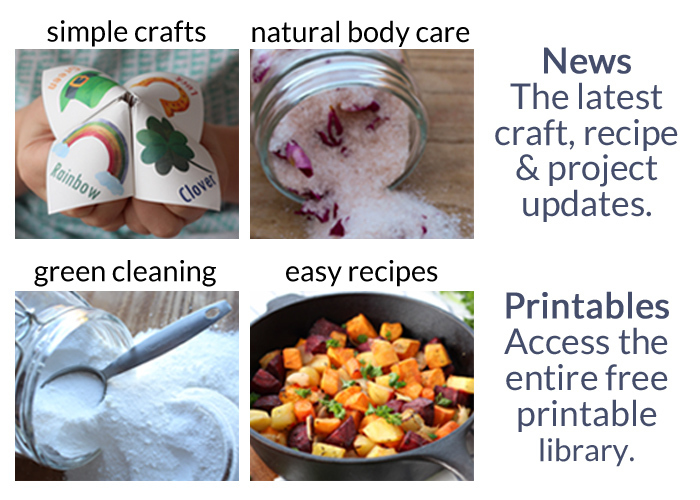 I love having all kinds of natural elements to turn into crafts. Pine cones are my favorite for winter.